Trust when I tell you I am NOT making a political statement of any kind here, but I have never shopped 'Black Friday'. I hate crowds. I refuse to get trampled for a discount, no matter how great it may be. And I'm not going out shopping on Thanksgiving Day. That day is about being Thankful for my blessings and enjoying them with those I love. I also like sleeping in WAY too much to get up before the sun does on Friday Morning to stand in long lines in the freezing cold. NOT Happening. Got a 'clean freak' on your list? (Are YOU the clean freak perhaps? ), Best Buy and Dyson sent over a great reco for those who like their clean with a side of tech/electronics! I have to admit, cleaning, particularly sweeping the super old hardwood floors in my apartment are NOT my favorite thing to do, so this gift idea definitely got me excited, and it really does take a lot to get me excited about chores. I love my tech and tech appliances though! You can press directly on this image to purchase the Dyson DC44 at Best Buy! Ƹ̵̡Ӝ̵̨̄Ʒ - The DC44 is a lightweight cordless vacuum cleaner that is engineered for nimble, high-performance cleaning and is perfect for quick pick-ups. - It assembled in a breeze and is really very lightweight which made me very happy. Just note this is NOT meant for you to pick up water or liquids, stick to the dry stuff! Ƹ̵̡Ӝ̵̨̄Ʒ - It gives you a fade-free 20 minute run time on a full charge with NO loss of suction and a full 8 minutes of 'boost' suction! Ƹ̵̡Ӝ̵̨̄Ʒ - It combines anti-static carbon fiber filaments and stiff nylon brushes to tackle dust and dirt on any surface. Making this a thoughtful and fantastic gift for anyone with allergies or anyone who is an asthmatic! You can press directly on this image to purchase the Microsoft - Surface Pro 2 at Best Buy! Ƹ̵̡Ӝ̵̨̄Ʒ - As a blogger who is always on the go and who travels often, the right tablet is crucial for me, I just can't lug a heavy laptop everywhere, and while they are finally getting a bit lighter, tablets are often the less weighty option, and usually fit way better in a handbag. As you know many don't do flash. For me a tablet needs to have the functionality of a laptop, and work just like my office desktop, and I do mean seamlessly. I got to play with the new Microsoft - Surface Pro 2 at the Engadget NYC Tech Conference, and I've got to admit I'm totally obsessed! Hopefully Santa is reading this as I have been EXTREMELY GOOD this year! I have a funny feeling your traveler will LOVE finding this under the tree! I honestly think that the Microsoft - Surface Pro 2 with 512GB is a Tablet I can grow into, I'm obsessing over the Dark Titanium at Best Buy! Cellular that works for everyone and saves you $? You can press directly on this image to purchase the Zact Mobile - Samsung Galaxy S III 4G No-Contract Mobile Phone at Best Buy! Coupons for Additional Categories on your list! You can press directly on this image to purchase the Frends Taylor Headphones at Best Buy! And you can definitely use that sweet coupon on these, so GO FOR IT! Best Buy has also got Toys on lock, YES TOYS! 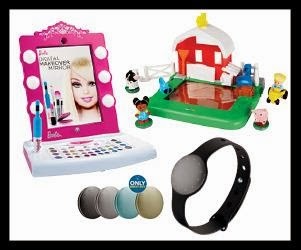 and you can score 15% off Health and Fitness products AND Fisher Price and Mattel Toys! Visit Best Buy and enter the code: bloggers15off at check out! This coupon is valid December 1st through January 18th 2014! Cool Beans! 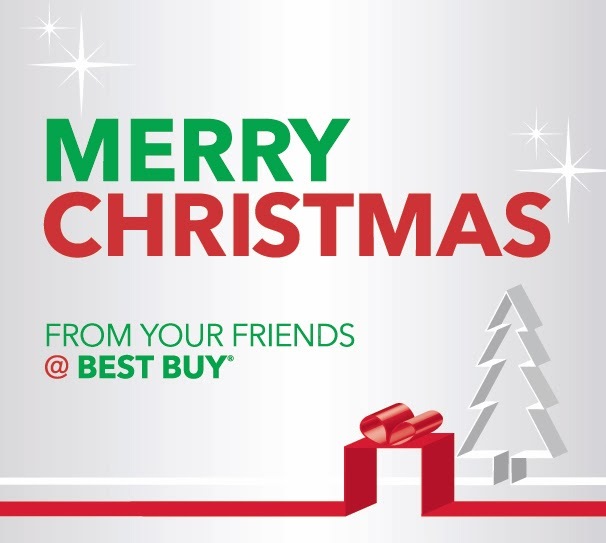 When it comes to Holiday Shopping, Best Buy has got you covered in pretty much every category! I am going to need a much bigger stocking to fit all this in. Did you nab a great Cyber Monday Deal Today at Best Buy Butterfly, Let Us Know!